This feature article has been written by Jens Lundgaard, Founder & CEO of Brandworkz. According to Gartner, the information technology analyst firm, marketers are becoming increasingly responsible for buying marketing related technology and services. In fact, Gartner predicts that by 2017 the CMO will spend more on IT than the CIO. At Brandworkz, we are seeing a growing trend for marketers to implement digital asset management systems. 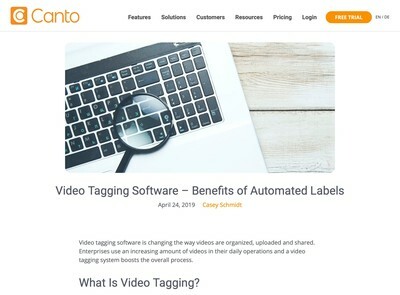 In line with this trend, marketing and brand teams in global companies are becoming used to using their brand digital asset management system widely and frequently and probably take its working resources pretty much for granted. 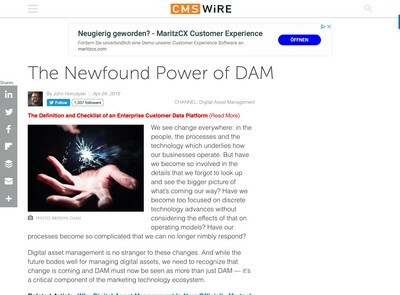 But we believe your DAM portal can be a much greater an asset to your business if everyone in the organization makes use of it. Here are five ways in which you can help make that happen. Everyone in a business uses the corporate intranet in one way or another for a whole variety of resources and information, so the ideal is to have your brand management system accessible through a link on the company intranet. Through Single Sign-On (SSO), employees are logged in automatically when clicking the link so they don’t even realize they have gone to a different site. Once users discover they can access the digital asset management system so easily, they’ll feel encouraged to use it. That way everyone in the business can be motivated to become a brand advocate. 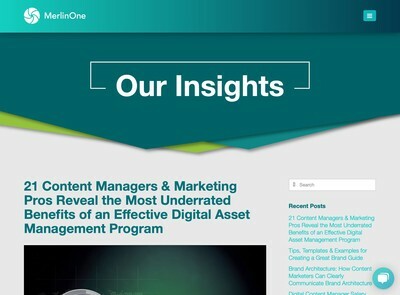 We would always advocate creating a digital asset management portal that looks on-brand and that reinforces how everyone should communicate, both visually and verbally at first glance. Why? Because your employees are more likely to feel stimulated as brand evangelists to carry the right messages consistently through whatever channel of the business they operate in if they are immersed in the brand at the start of each day. If everybody in the company is pulling in the same direction, your company is much more likely to fulfill the brand promise and become more successful. Marketing and branding personnel don’t have the exclusive on ideas about how to make the business stronger. Innovative suggestions can spring from anywhere in the business. That’s why it can be particularly productive to provide an interactive space in your DAM system in which employees can communicate with one another, sharing ideas and knowledge and feeding back reaction to brand issues. With a community manager acting as official moderator responsible for the efficient operation and supervision of the debate, such a forum can function as a fertile seedbed for the growth and nurture of new thinking and ideas. A DAM portal’s key function is to give access to brand assets such as logos, templates, images and videos. So wider accessibility to all departments across the business will ensure that, not only are digital assets available to a broader user base but the brand guidelines that go with them are stressed prominently too. This supports the correct use of assets and promotes brand consistency across the wider organization. If you don’t provide this, then many people will just make it up as they go along, diluting your brand message and personality in the process. You know how it is – new members of staff get basic training in H&S and company practice and that is pretty much that, apart from being introduced to the coffee machine. For the most part the lack of wider training is down to shortage of time. However, your digital asset management system can also be used as an online brand training centre where new employees learn about how the brand should properly be represented – something that everybody in your organization should understand. Users should be encouraged to access the centre from their own desks – or even remotely in their own time. Existing staff can be kept up to date too. After all, brand guidelines and messaging are not set in stone. They evolve. But the business which provides easily accessible brand training online can ensure that employees are kept constantly up-to-date with brand information – safe in the knowledge that everyone in the business can be relied on to project the brand messages consistently – whatever their role in the organization may be. 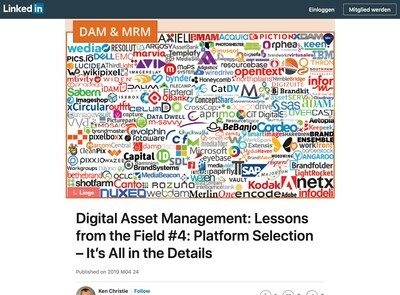 Businesses add value by putting digital asset management centre stage. But there is one point that I would stress again here: the most important factor in everything I’ve outlined above is ease of use. If it’s simple for employees to log on to the system, they will quickly come to see digital asset management as a central element of the business and become accustomed to regularly accessing the resources provided. And that’s a win all round – greater employee engagement with brand messaging and values, stronger awareness of the marketing team’s role and, ultimately, a strengthened brand and business in the marketplace.